Gold made its biggest jump in two months on Wednesday, rising back above $1,200 to end the day at $1,204.10/oz. Data from the ADP Research Institute showed that U.S. companies added 189,000 workers in March, the smallest gain since January 2014. Economists surveyed by Bloomberg were expecting the number to be around 225,000. The disappointing figures fed speculation that the Fed will postpone raising interest rates. Investors are now awaiting nonfarm payrolls data from the U.S. Department of Labor set to be released on Friday. The markets will be closed, however, so investors will not have the opportunity to react to the news. The news did not have the same effect on the stock market, as the Dow Jones, S&P 500, and Nasdaq composite indexes each fell by 0.4%. Factory activity grew at a slower pace in March as the Institute for Supply Management’s manufacturing index fell to 51.5 from 52.9 in February. This is the index’s fifth straight monthly drop. Construction spending in February fell 0.1% after dropping 1.7% in January, the government reported. Sales declined for most automakers in March. Ford sales fell 3.4% and General Motors sales dropped 2.4%. How much longer do you think the bull market in stocks will last? Are you prepared for a possible correction or crash? 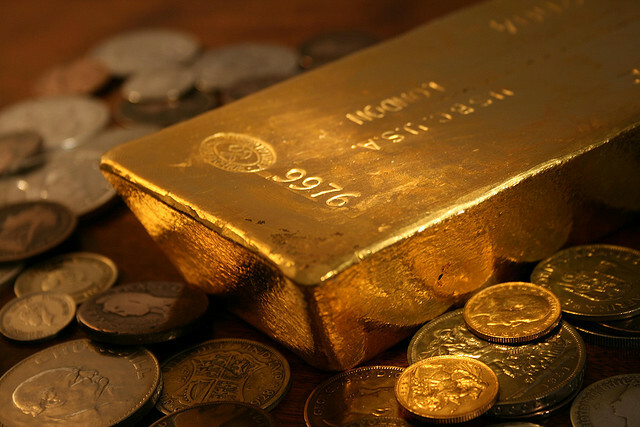 Consider protecting and diversifying your portfolio with physical gold. Gold traditionally performs well when other markets are suffering, making it a great hedge against stock market chaos. Call American Bullion today at 1-800-326-9598 to speak with a specialist about adding physical gold coins and bars to your retirement account or making a cash purchase for secure delivery to your home. You may also request a Free Gold Guide for more information. American Bullion, Inc. specializes in converting IRAs, old 401(k)s, or other qualified retirement plans from paper-based assets to physical gold coins and bars through a Gold IRA rollover or transfer. We’ve pioneered a system to handle all the details for you, tax-free and hassle-free. Interested in buying gold and silver and storing it yourself, outside of your retirement account? Simple – we’ve insured and shipped millions of dollars’ worth of gold, silver, platinum, and palladium to thousands of homes just like yours. As a U.S. Mint nationally listed dealer, we strive to be the best Gold IRA company in the industry and guarantee every transaction is fast, simple, and secure. See our American Bullion Reviews page for testimonials from our many satisfied clients.